Nations, Tribes, Bands – think human tectonic plates. Where these forces of human nature meet you experience open warfare, sporadic conflict, simmering hostility, negotiated peace, friendship, alliances or, any and all of these over time. Look at the westward expansion of the Chippewa along the southern shores of Lake Superior that led to the conflict with the Fox. The Fox were driven from what we now call Michigan’s Upper Peninsula to Wisconsin in the seventeenth century. Include the French, English and later, the American presence and the dynamics of this human landscape seems constantly moving under foot. A tectonic plate of sorts with guns, money, modernity, and overwhelming numbers seeking wealth and territory. Dominating the 18th and first half of the 19th century, the ongoing Chippewa /Dakota territorial conflict became the fault-line along which Europeans and Americans negotiated with and exploited Native American leaders. Present day Minnesota and Wisconsin characterised by the co-existence of the United States government with sovereign Native American nations defies the notion of a “short history” Good luck, can’t be done. I’m suggesting some publications a bit further down the post if you are interested. Here’s a snap-shot of one half decade, 1850 to 1855, with a central event that was shameful and criminal, the results of which may have disrupted U.S government plans to re-locate the Chippewa bands somewhere west of the Mississippi. Sandy Lake Tragedy - Marker . What events led to this? Land in trade for sovereign status, reservation, and the right to a subsistence lifestyle within their traditional lands. Good deal? Bad deal? Best deal possible? Regardless of your perspective, fact is the Mole Lake and the St. Croix Bands were never included in the negotiations. What was that all about? What were the consequences? Future post. Here’s some recommended sites presenting varied perspectives. 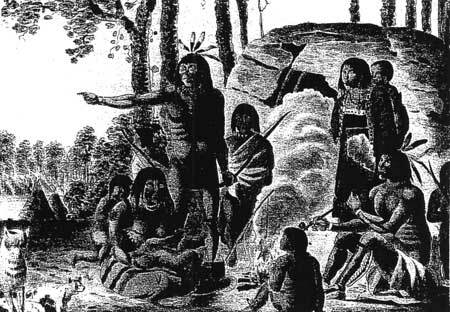 My introduction to the history of the St. Croix Valley was James Taylor Dunne’s The St. Croix – Midwest Border River Early chapters describe the Native Americans who lived in the valley prior to and during early (1600s)contact with Europeans up to the treaties with The U. S government in the 1830s through the 1850s. An excellent, more thorough and well-cited publication is McMahon and Karamaski’s, Time and the River – A History of the Saint Croix , a National Scenic River publication. You’ll find the interwoven threads of Sioux, Cree, Fox, Chippewa, French, English, and American presence in the valley much easier to understand. Wikipedia does a nice job explaining the various Treaties of St. Peters. The Bad River Band of Lake Superior Chippewa Tribe has a page on their site with the actual Treaty of St. Peters 1837 with the Native American and American signatories included. Danziger’s 1979 book, The Chippewas of Lake Superior looks like a comprehensive guide to the norther bands of Chippewa. Also, check out William W Warren’s 1885 History of the Ojibway People re-printed with new material by the Minnesota Historical Society Press. 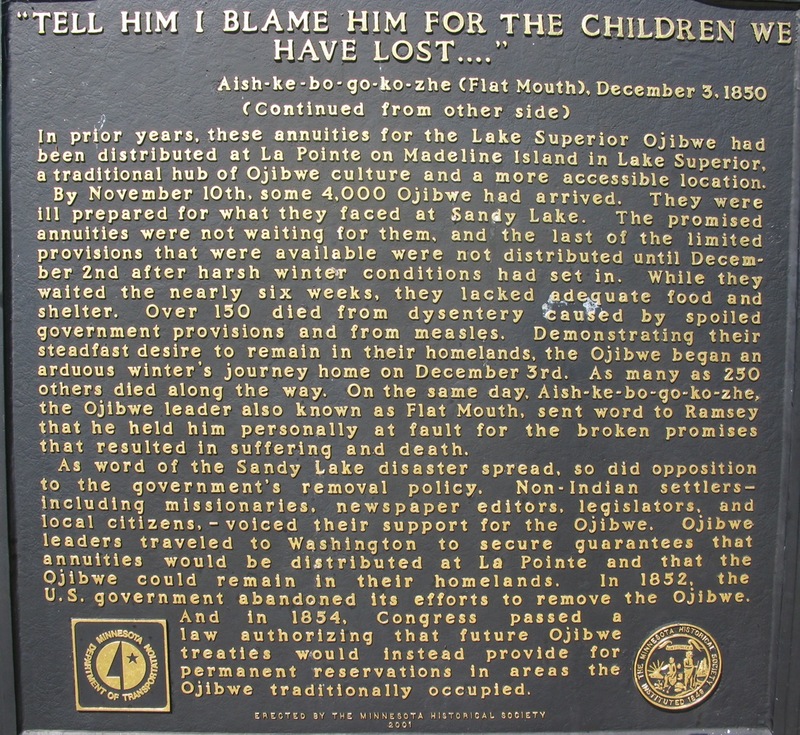 You can find the Native American perspective on the shameful Sandy Lake Tragedy, also known as Wisconsin’s Trail of Tears and Wisconsin’s Death March, at three sites, News from Indian Country and Native American Minnesota I and II, and Dream-Catchers. 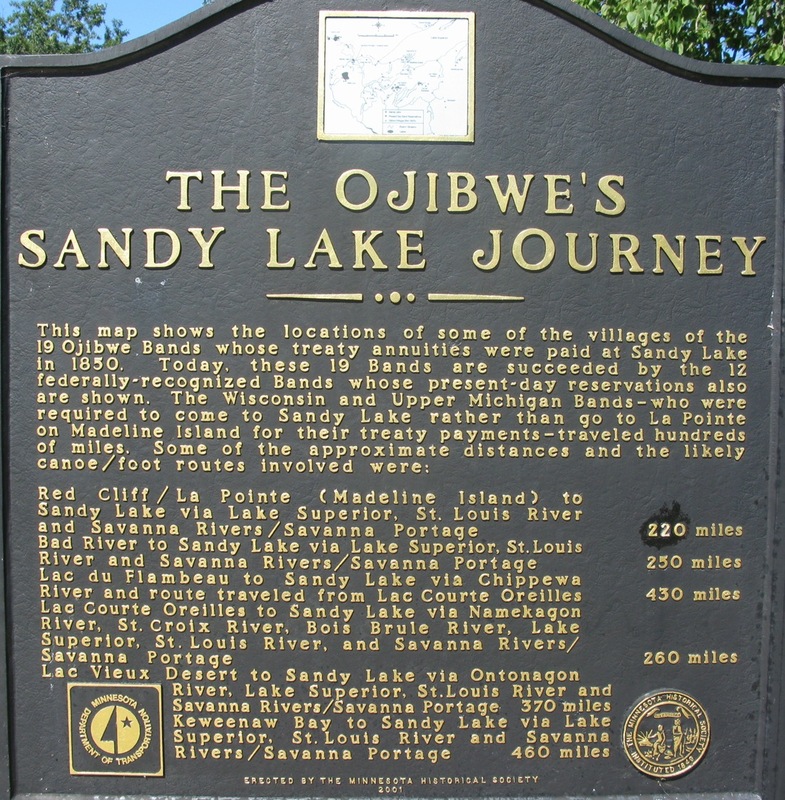 Another link to the Wisconsin Historical Society provides a brief account of the tragedy and explains how plans to re-locate all Chippewa west of the Mississippi were subsequently dropped in negotiated treaties prompted by the public outcry over the needless death of so many at Sandy Lake. This entry was posted in Music and Video, Native Americans and tagged Flat Mouth, Fox, Madeline Island, Ojibway. Chippew. Sioux, Ojibwe, Ramsey, Sandy Lake Tragedy., Tayor, Treaty of 1854. Bookmark the permalink. Thanks for the more objective portrayal of the St Croix and Native histories along your proposed canoe route. Reminders about how the history of this area developed are sobering but really worthy of our contemplation. I like where you are traveling with this thread! Paddle on, Cory!